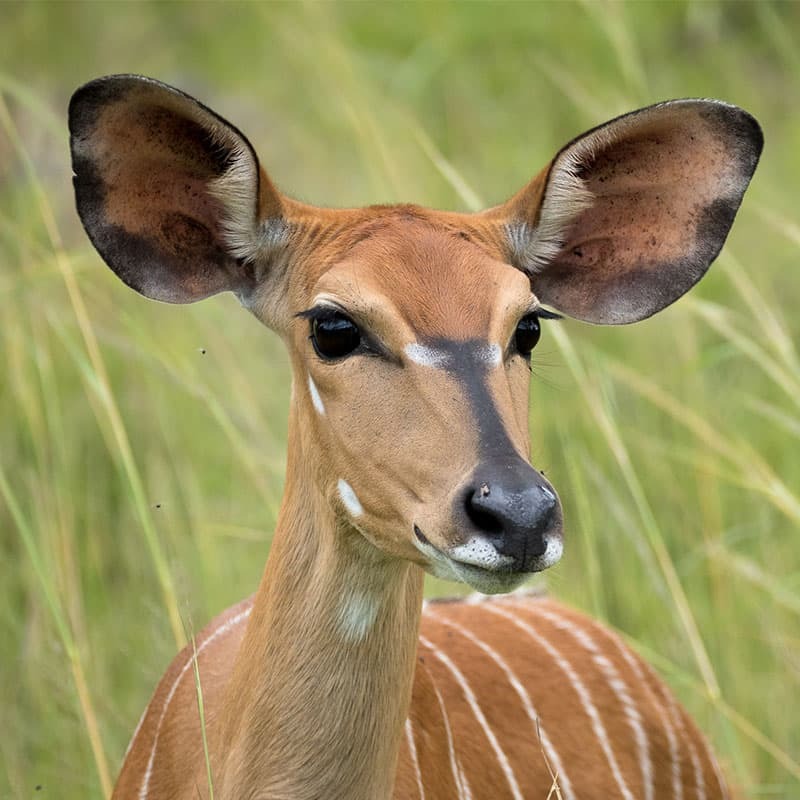 Wildlife and endangered species conservation is Imire’s primary focus. 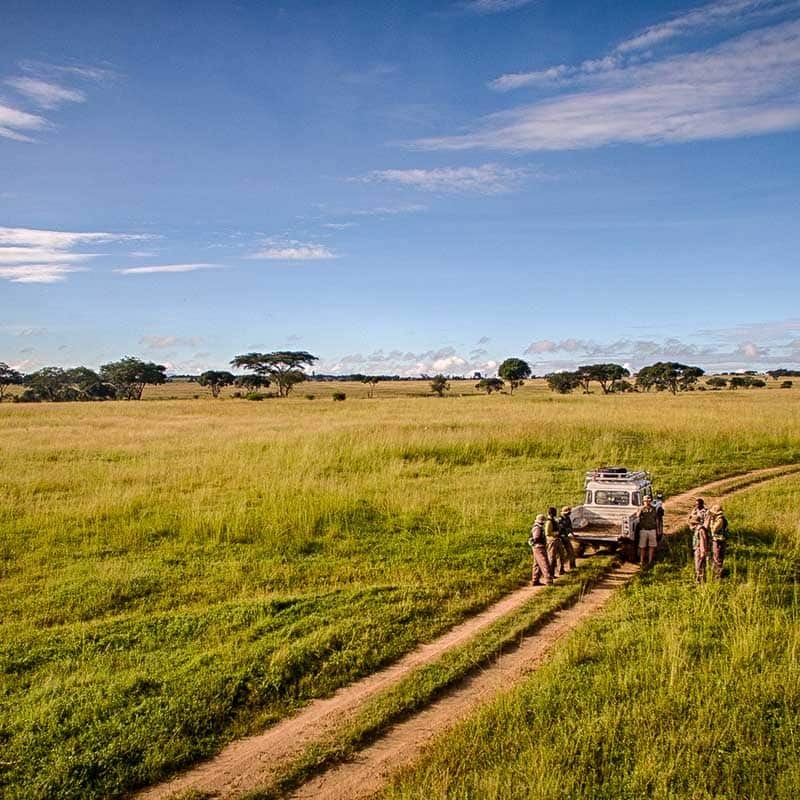 We firmly believe that the key to sustainable conservation practices is collaboration with local communities. 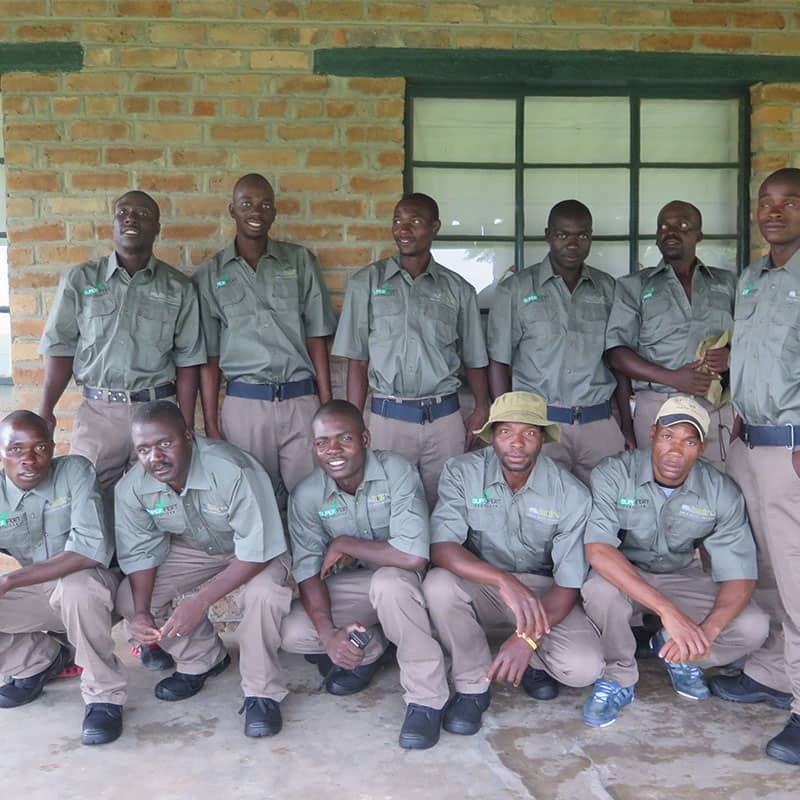 Our objective at Imire is to ensure the safety and security of wildlife by enhancing the relationships between tourism, conservation programmes and surrounding villages through long-term, sustainable environmental management and positive community projects. 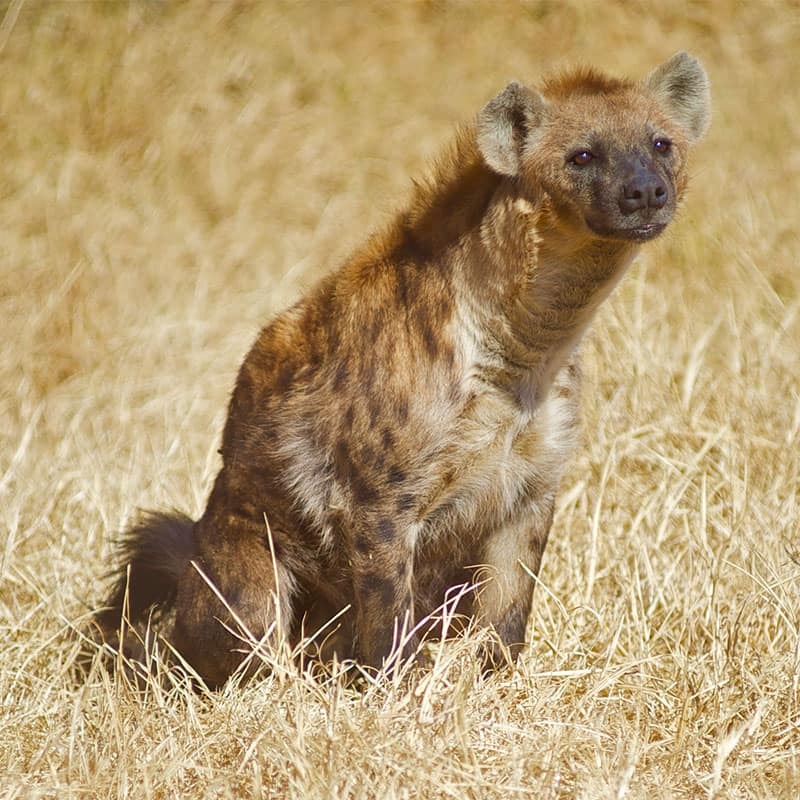 Small privately-run conservancies play a vital role in conservation in Africa. 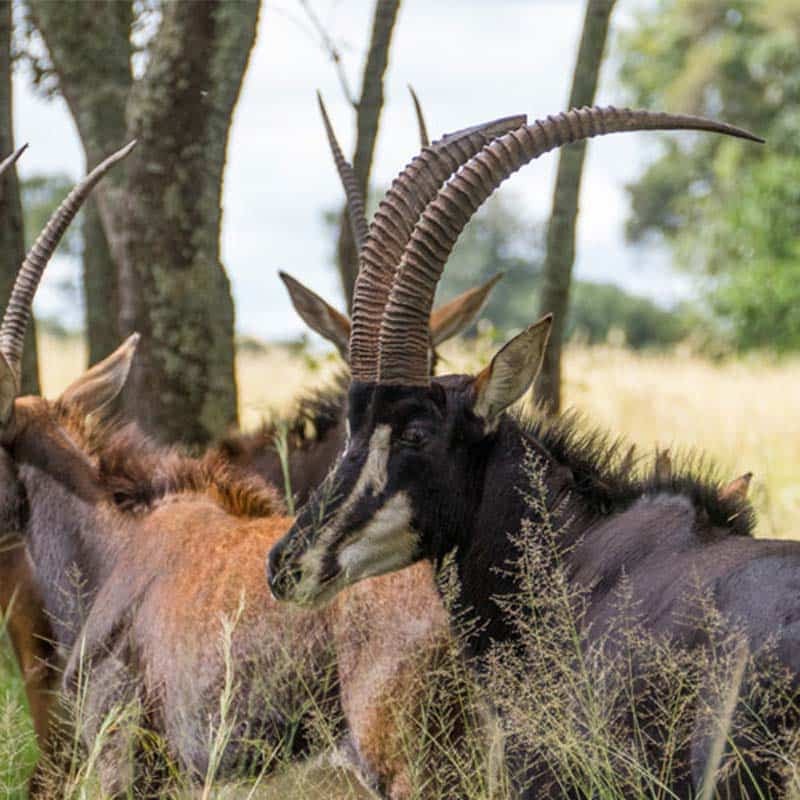 Areas like Imire build and retain vital natural gene pools and sustain remaining numbers of viable wildlife populations – protecting them in smaller, more secure, and easier to monitor areas. 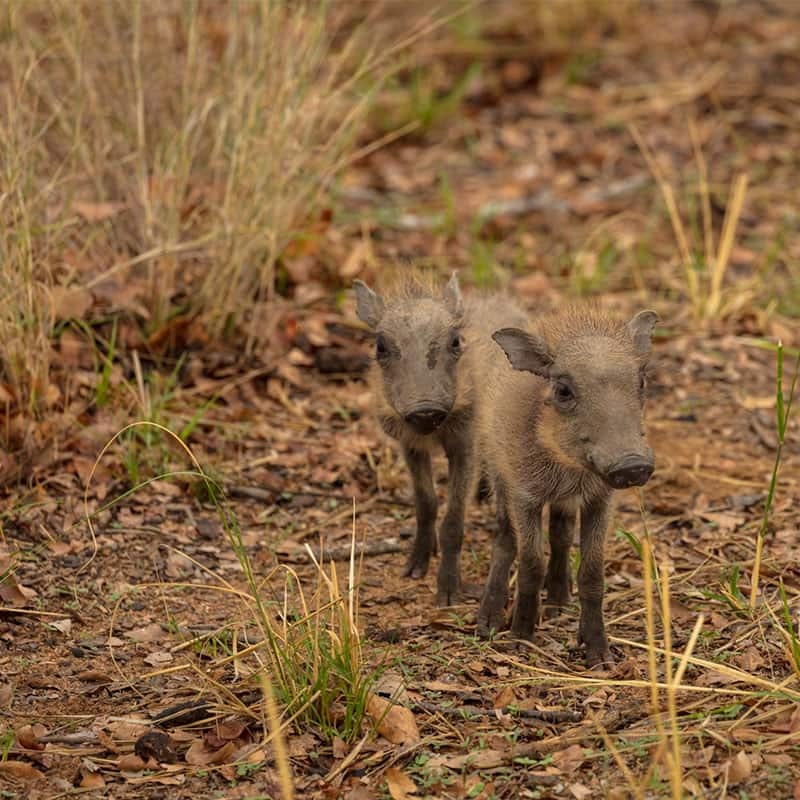 These gene pools can then ultimately be utilized to help repopulate areas most severely affected by poaching, where wildlife populations have been decimated. 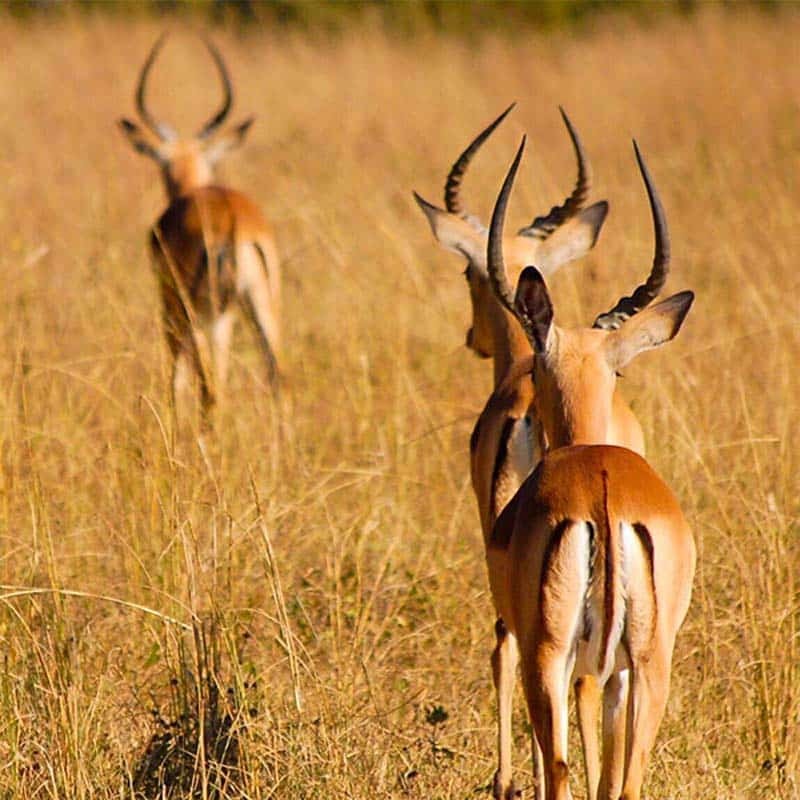 Imire strives to remain at the forefront of conservation in Zimbabwe taking part in ground-breaking breeding programmes, wildlife research, innovative game capture and movement and highly advanced anti-poaching solutions. 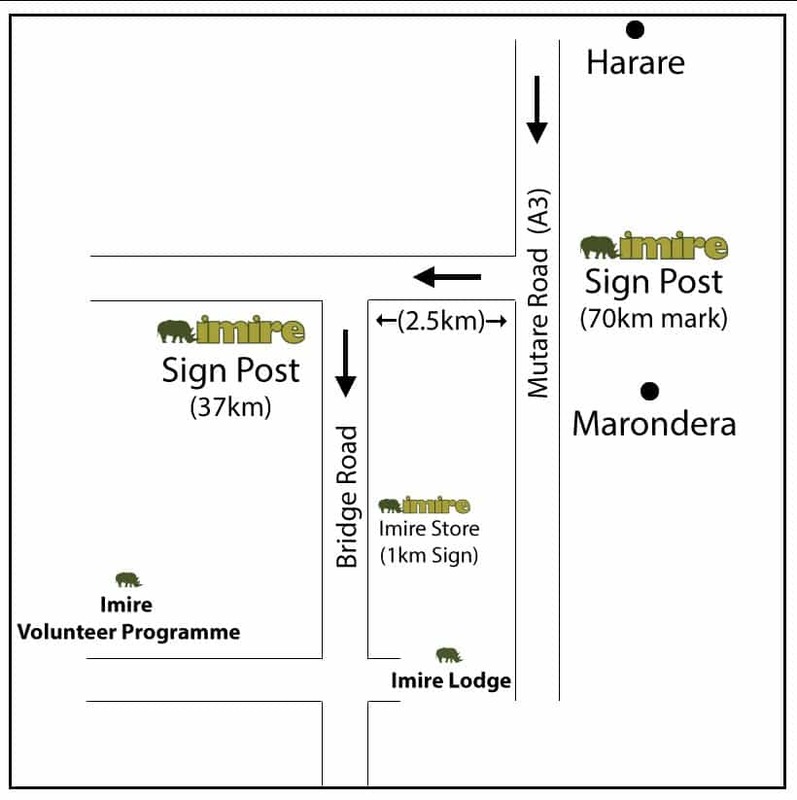 Imire is home to four elephants. 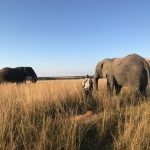 Mac, Toto and Mandebvu form our small family herd, and Nzou, the oldest female elephant on Imire, happily lives with a herd of buffalo! 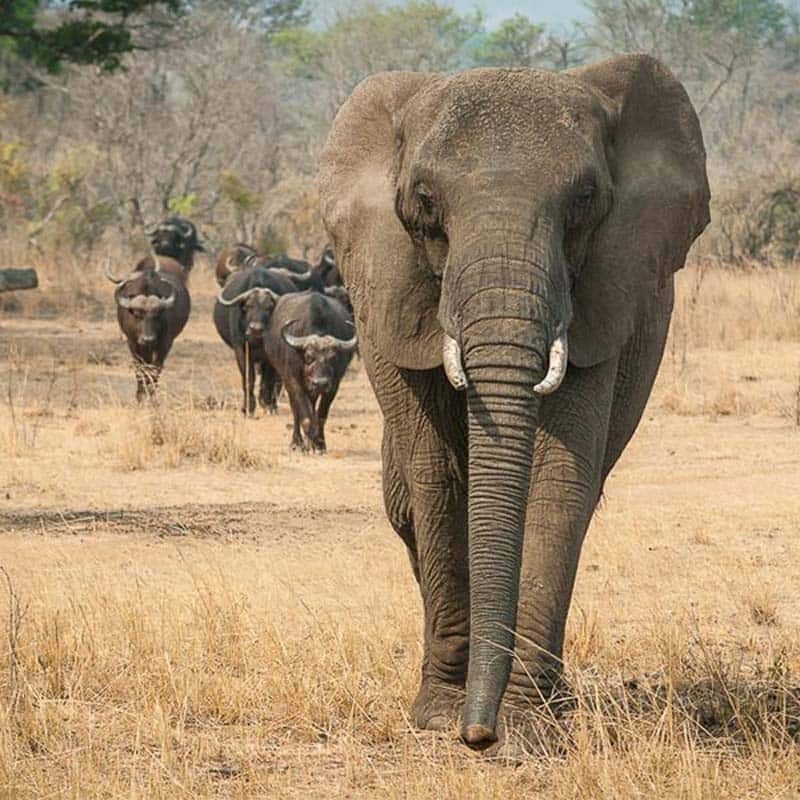 The elephants living at Imire were orphaned at various stages from different conservation areas in Zimbabwe. 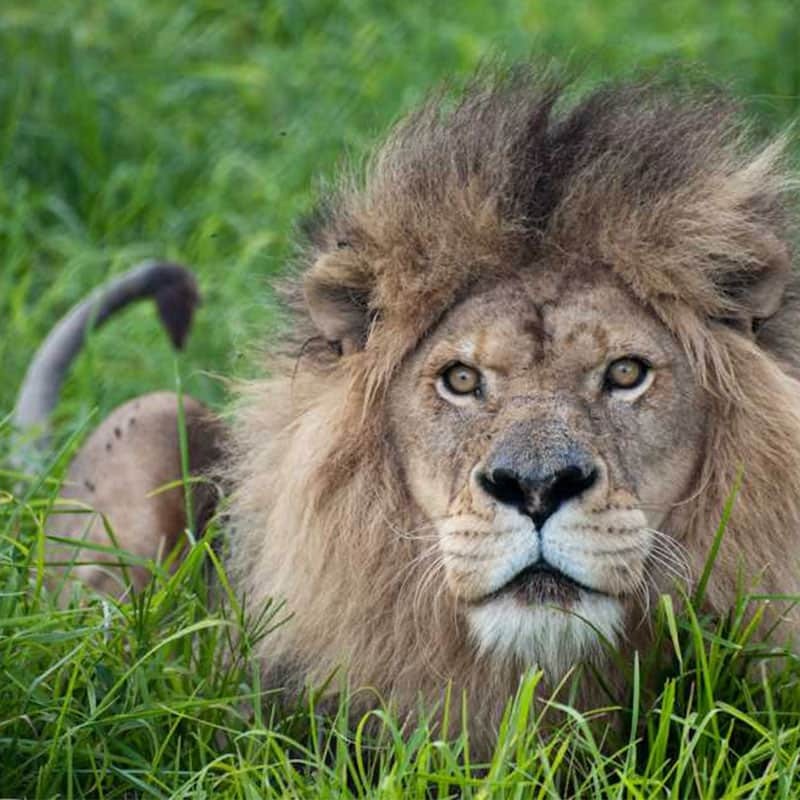 We were privileged to be chosen as their custodians and have since provided them with an environment that is as close to their natural habitat as possible, whilst maintaining both animal and human safety. 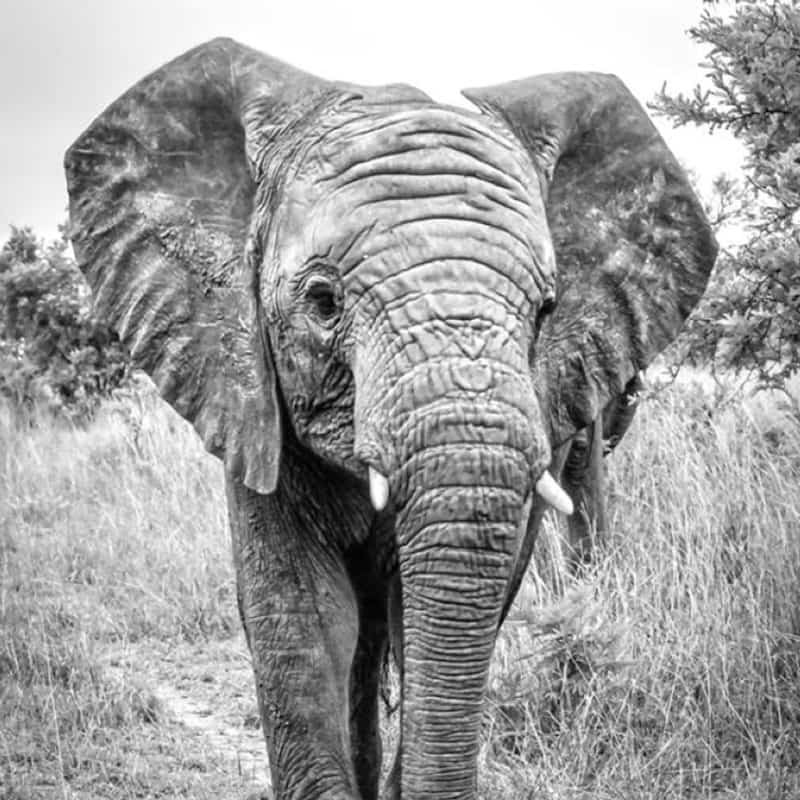 Had the elephants not been saved and given a home at Imire, they would certainly have perished in the wild. 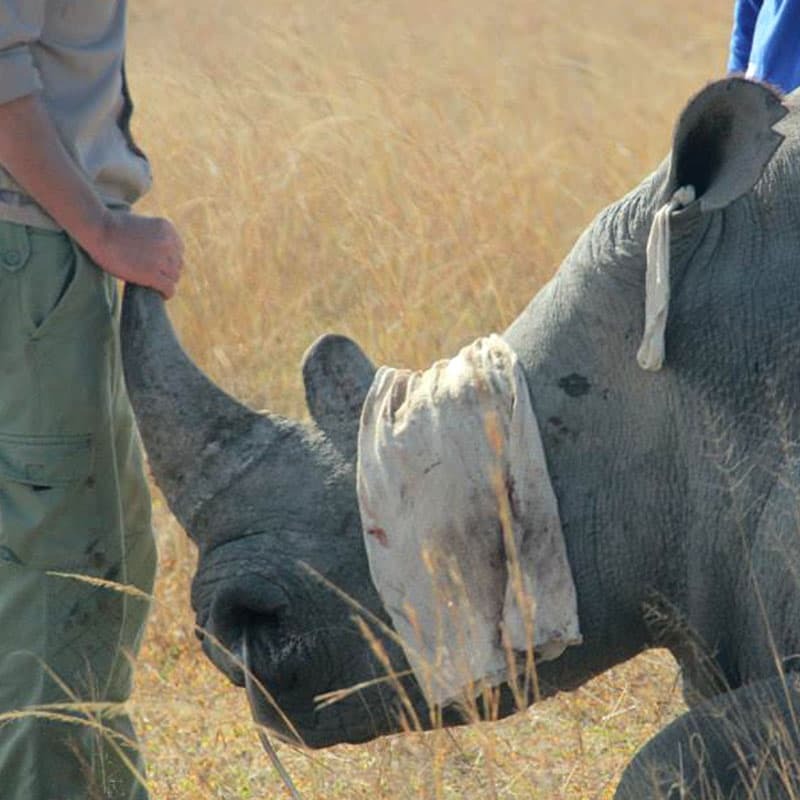 We have a duty of care for them that we take extremely seriously. 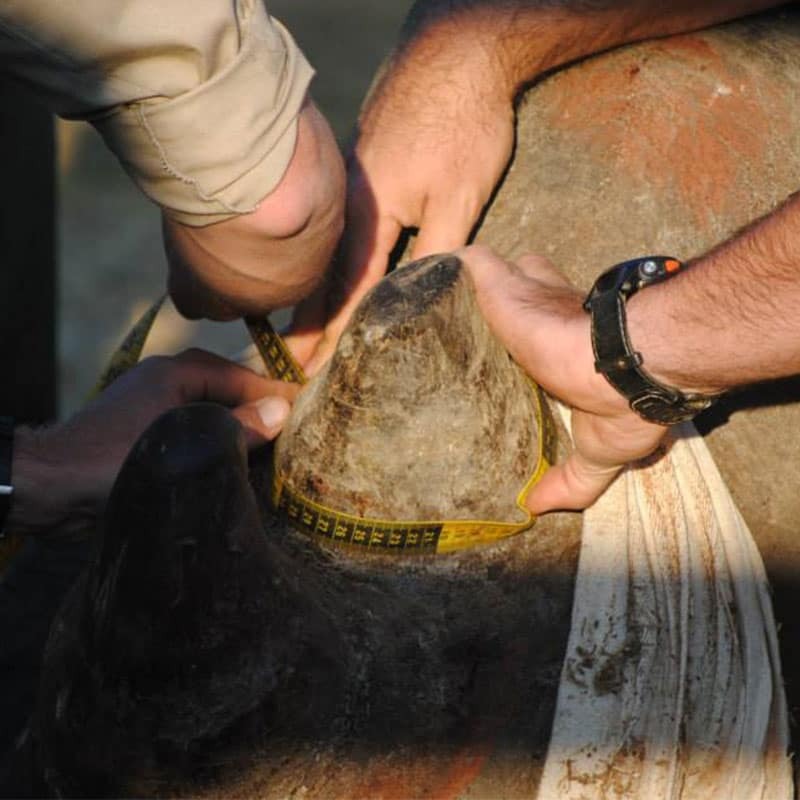 Ivory and rhino horn poaching in Africa is rife and to protect both our elephants and rhinos, they sleep tethered in a secure boma at night. In this way, we can ensure that there are armed guards, proper lighting and communication systems in place in the event of any incident threatening their safety. 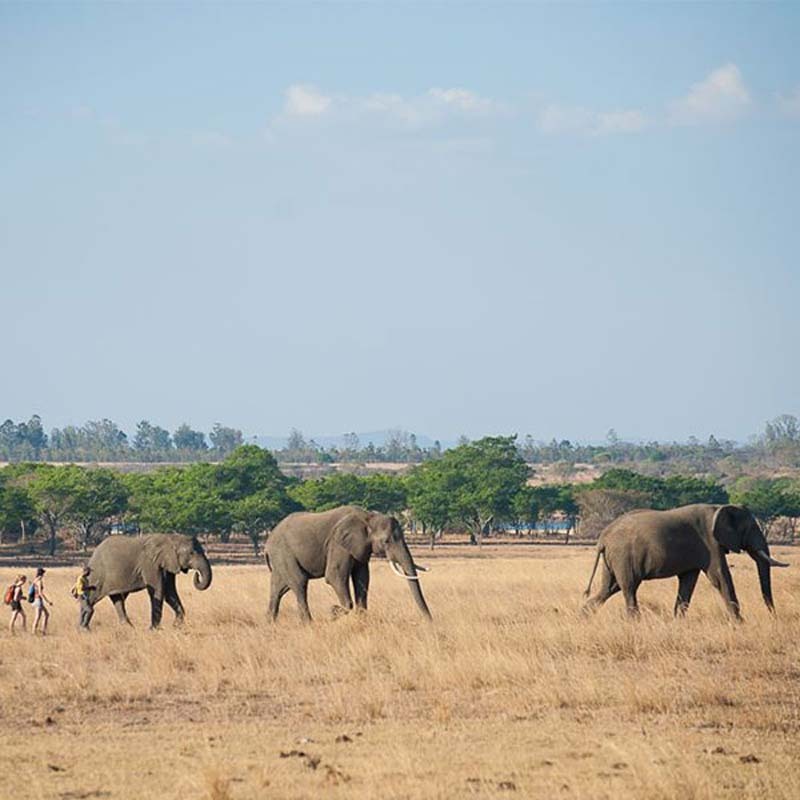 The elephants are completely free to roam and browse the whole conservancy during the day. 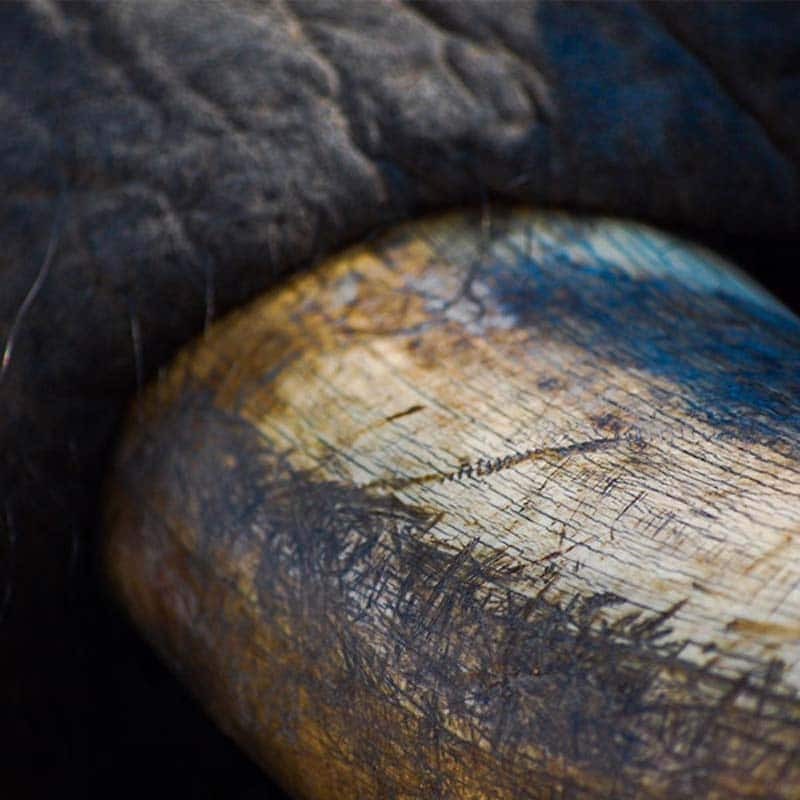 Elephants are extremely intelligent, sensitive and empathetic mammals. They need constant stimulation to remain content. 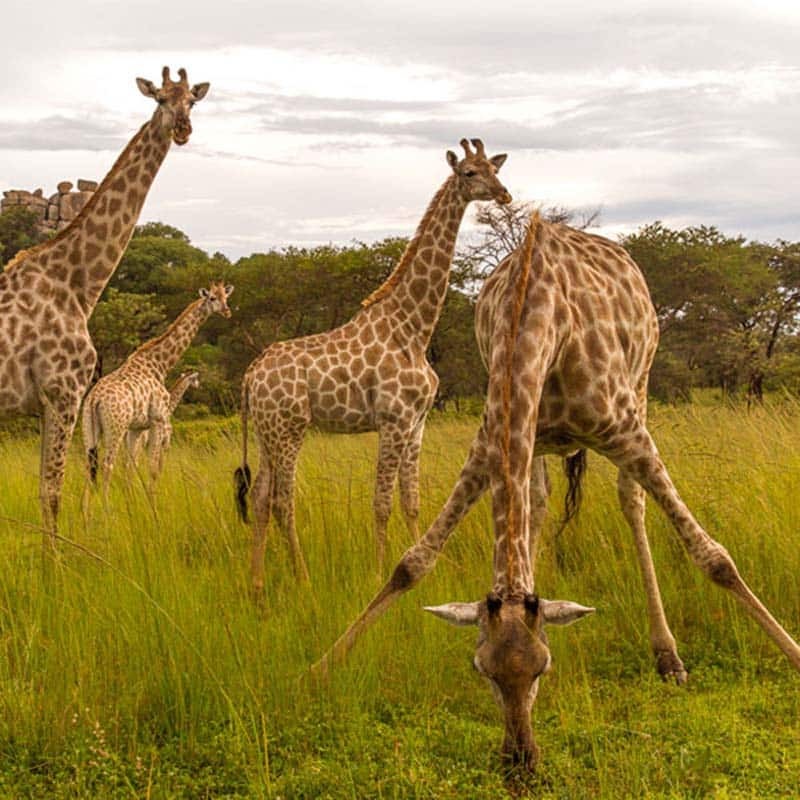 This stimulation occurs in the wild by being part of a large, hierarchal herd and facing constant challenges of finding food and water while avoiding predators. 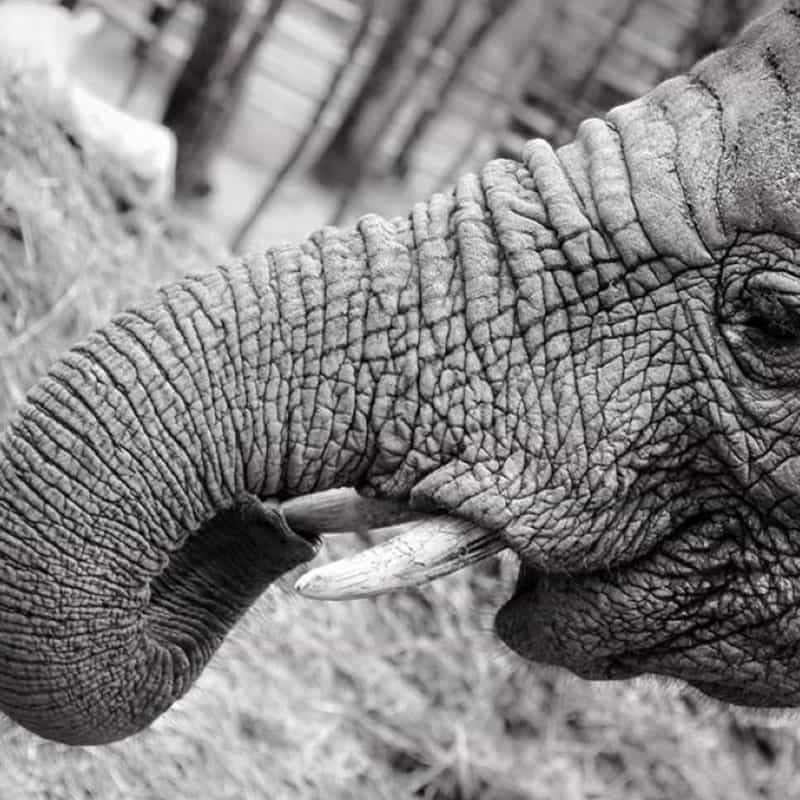 We are obliged, under our duty of care, to provide for the elephants mental, as well as their physical, needs. We therefore give them extra stimulation which we do with daily teaching sessions. This is a form of environmental enrichment. 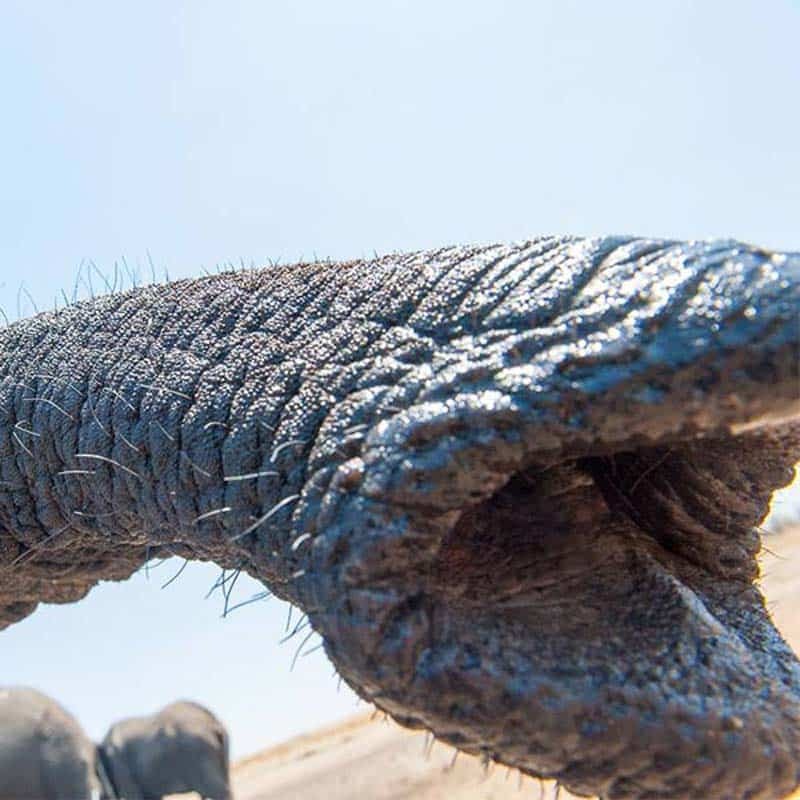 These sessions help us to educate visitors about elephants and allow a unique interaction to happen in a safe manner. We use a method of Cooperative Teaching, which uses positive voice (praise) and food reinforcement. WE NEVER USE NEGATIVE PHYSICAL REINFORCEMENT. 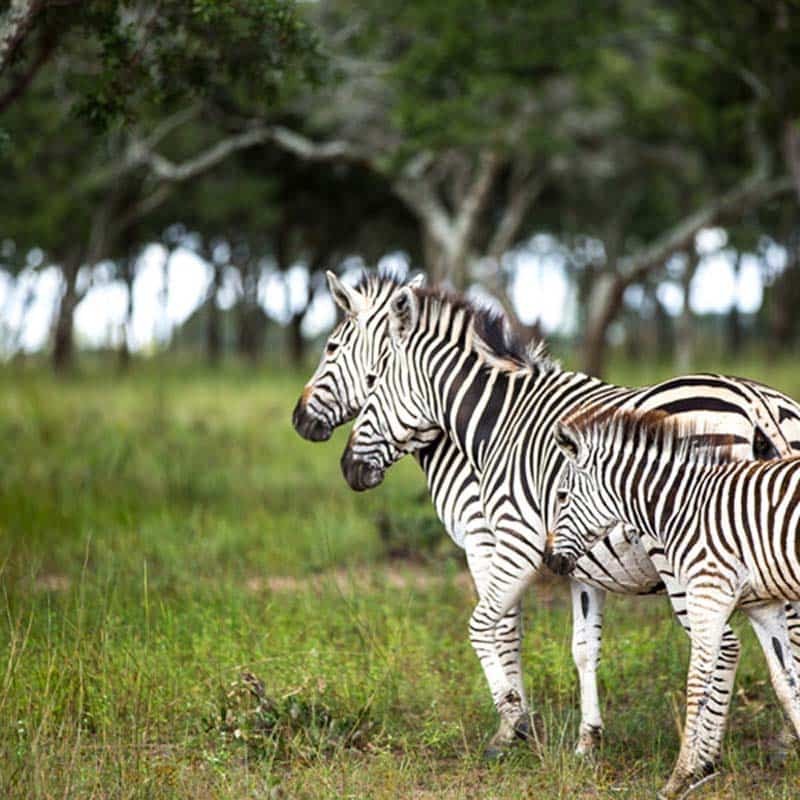 Our animal welfare policy at Imire monitors the physical and psychological well-being of all the animals, and is reviewed constantly in conjunction with external animal welfare experts and highly renowned wildlife veterinarians. 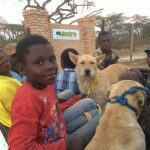 We are constantly reviewing and updating this as we learn more about the lives of all our animals. 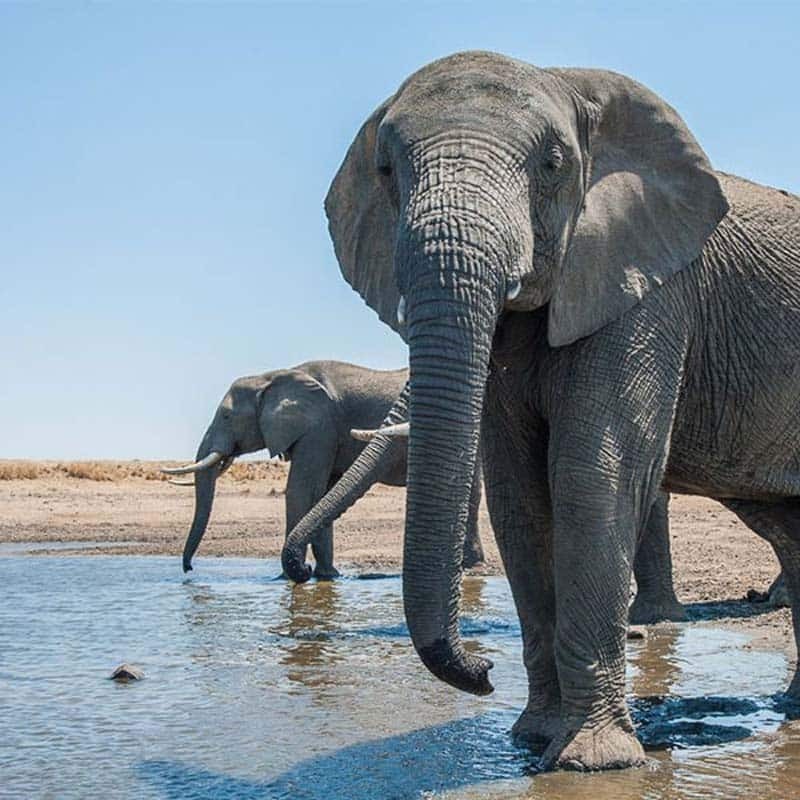 In this way, we can share our lives and our conservancy environment with one of the most iconic species on earth, and each elephant acts as an educational ambassador instilling a deep love for their species in any visitor that meets them. 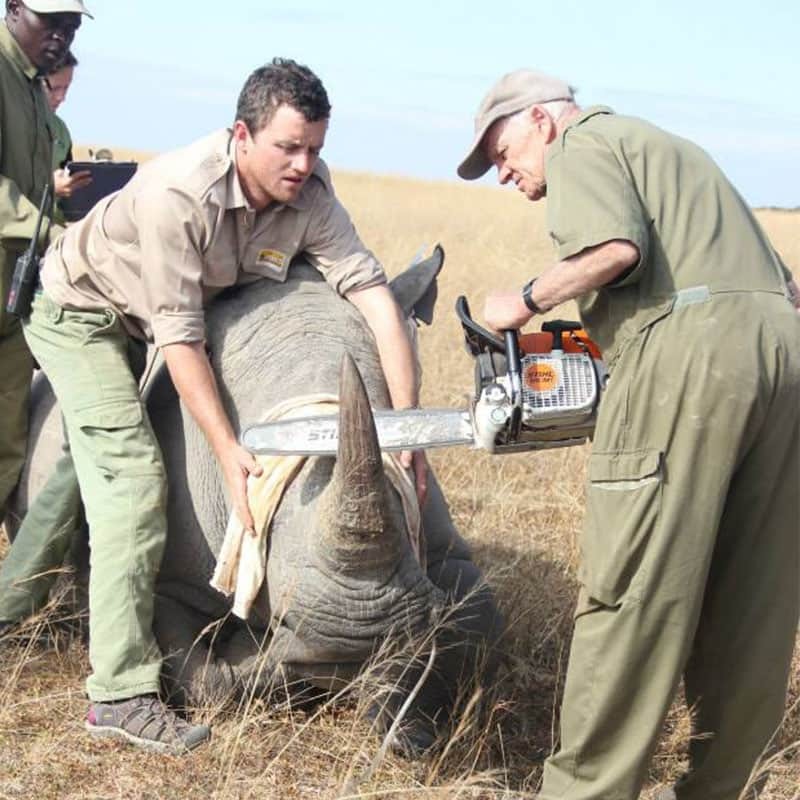 Imire is internationally renowned for its black rhino breeding and release programme. 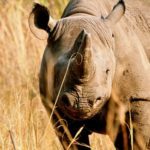 In the 1980’s, during a period of Zimbabwe’s worst poaching, rhino numbers plummeted from 10,000 to less than 1,000 in just a few years. 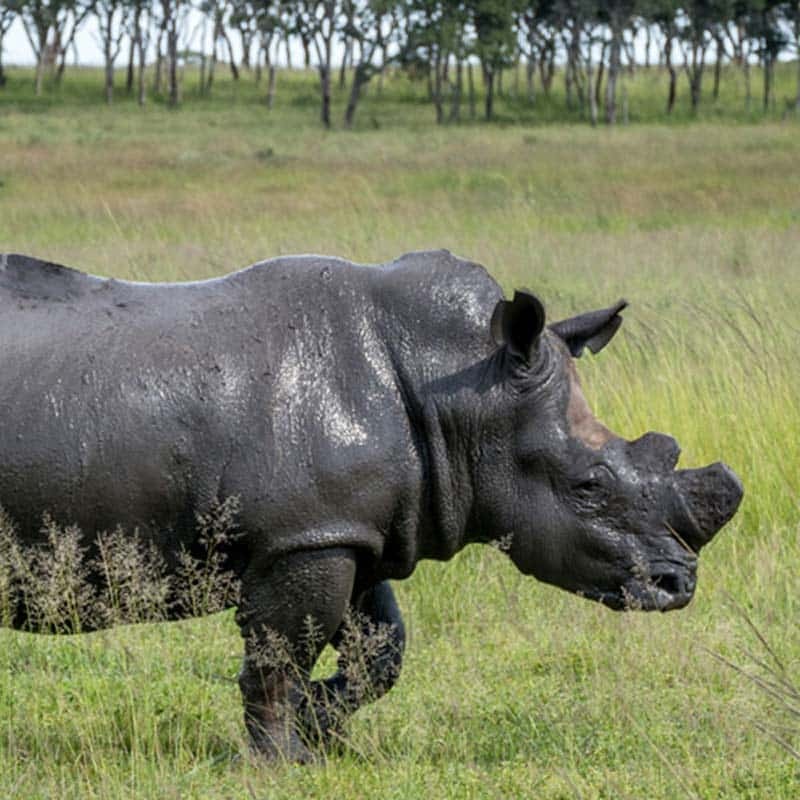 The Department of National Parks & Wildlife moved the remaining wild rhino into the custodianship of private conservancies, named Intensive Protection Zones (IPZ). 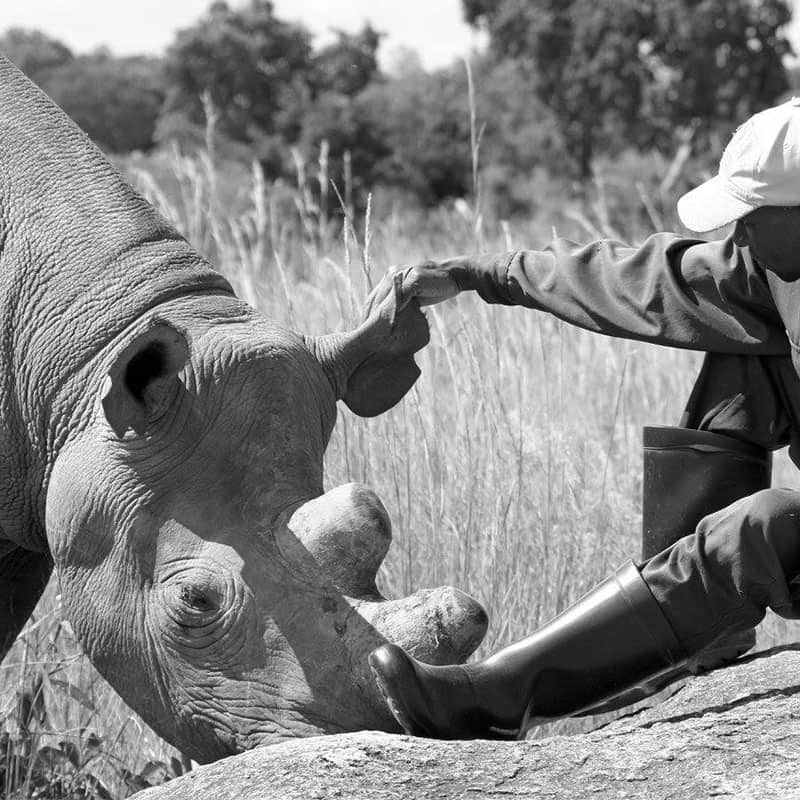 In 1987 Imire was named an IPZ and awarded custodianship of 7 orphaned black rhino by the Zimbabwean government and began a pioneering black rhino breeding programme. 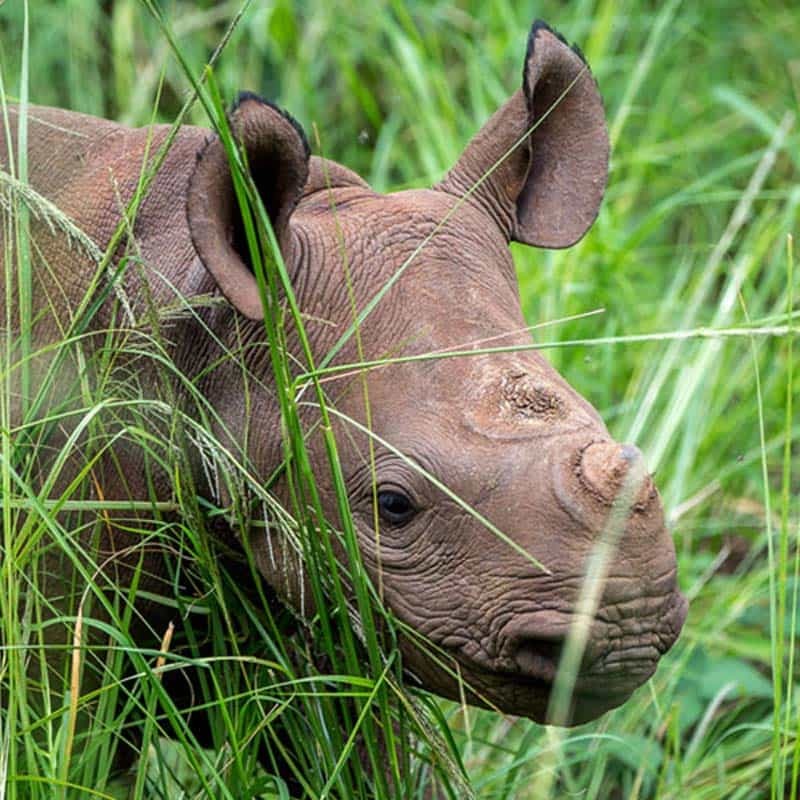 The first rhino on Imire were between four and six months old. Each of the calves were hand-reared on specialised formula milk for eight years and raised as a semi-domesticated herd. 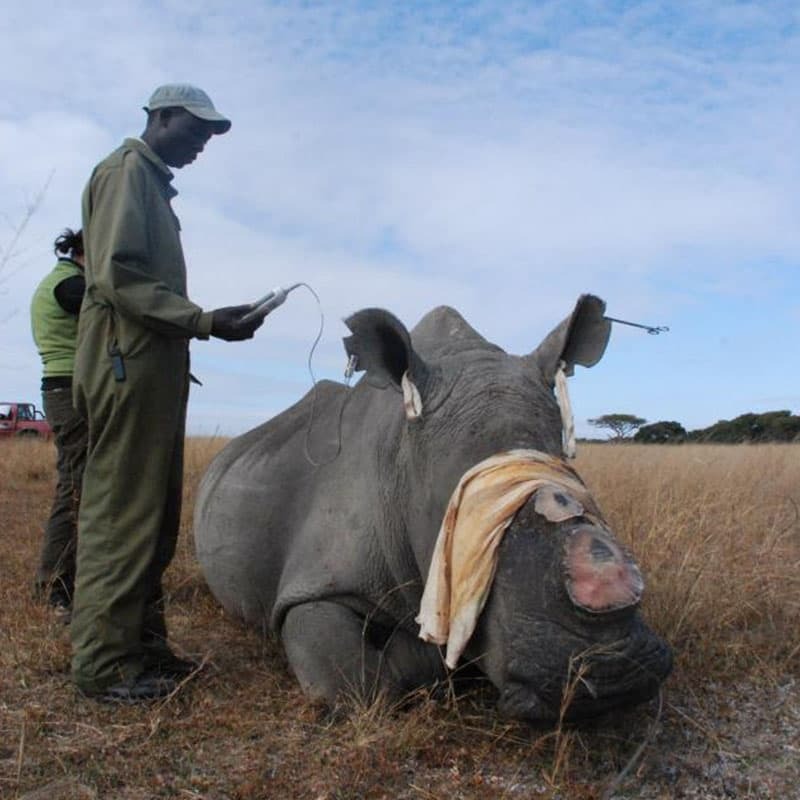 Several in-depth studies were carried out by ecologists to ensure the rhino suffered no ill-effects from the new vegetation and climate. 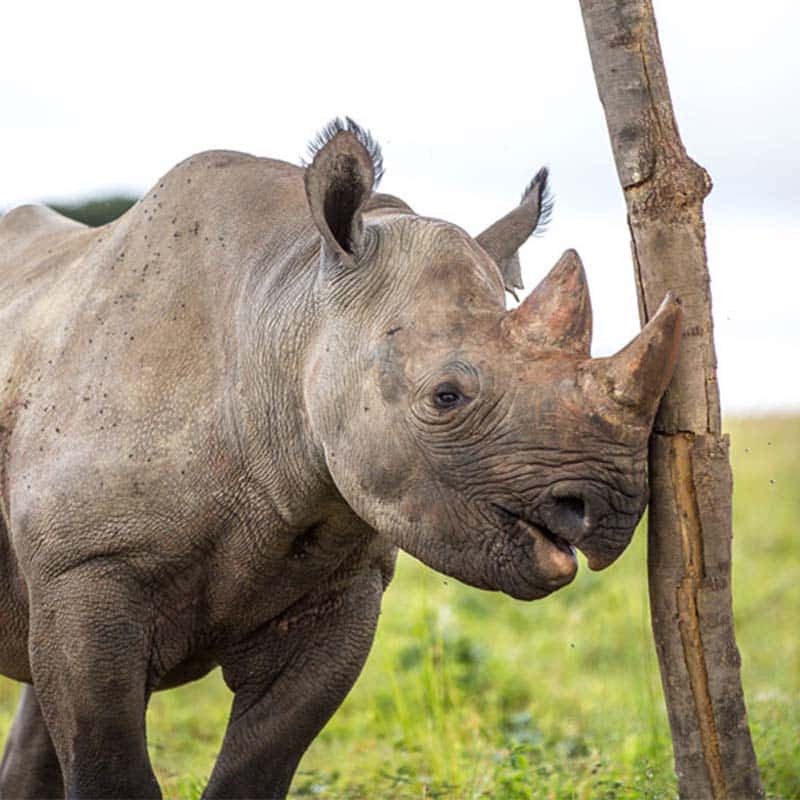 These original rhinos bred very successfully, with 15 births in less than 20 years – a record given the rhino’s notoriously slow speed of reproduction. 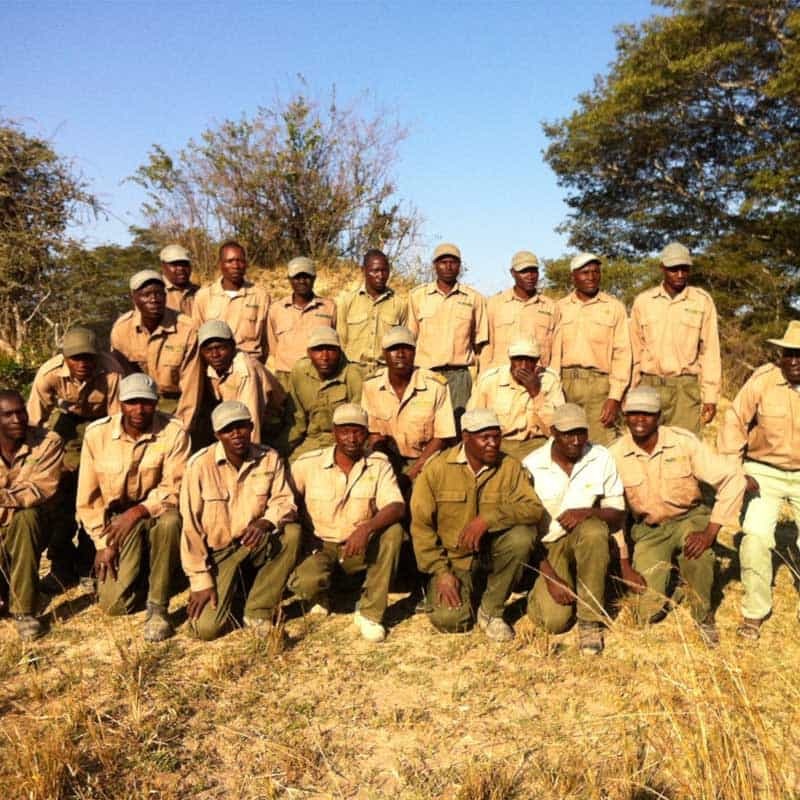 By 2006 Imire had successfully released 13 individuals back into the Zambezi Valley, Northern Zimbabwe. 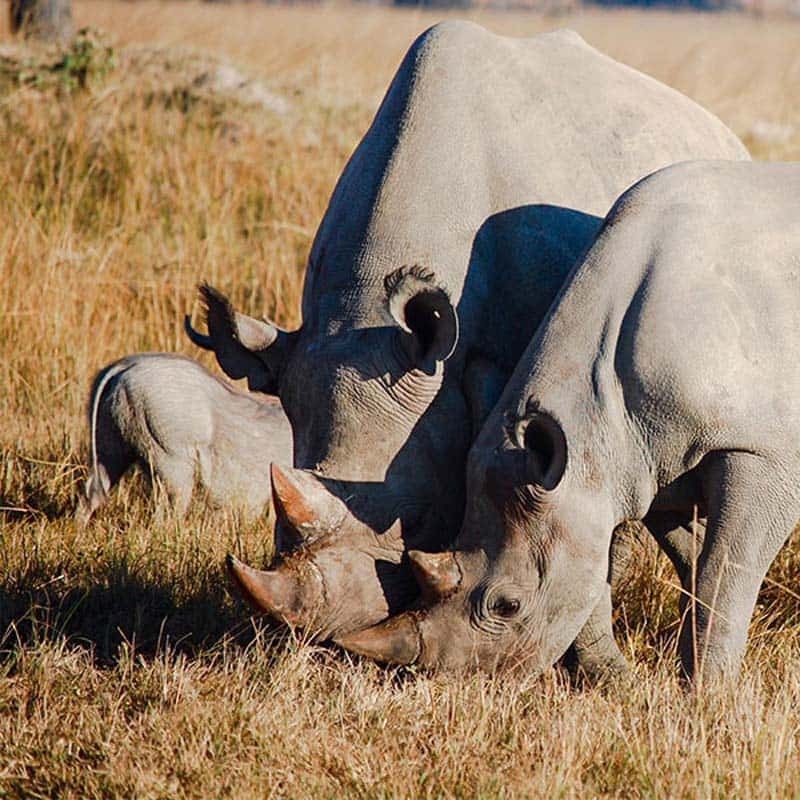 However, due to increasingly sophisticated illegal wildlife poaching and the increased value of rhino horn in Eastern markets, rhino numbers are once again dropping alarmingly. 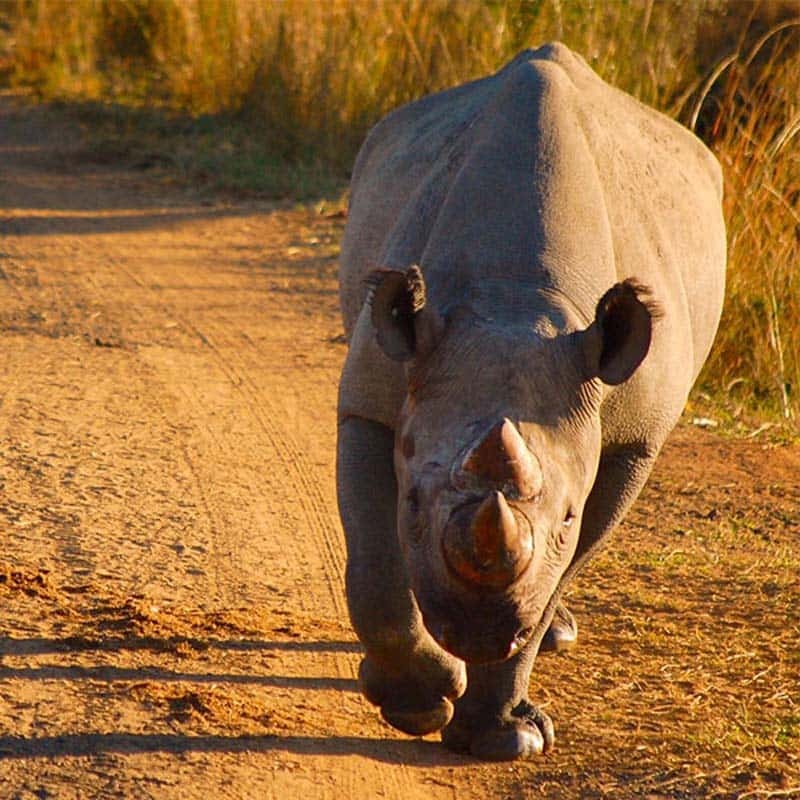 Until uncontrolled poaching within National Parks abates Imire has resolved to protect and secure our adult rhino onsite rather than releasing them into wilderness areas. 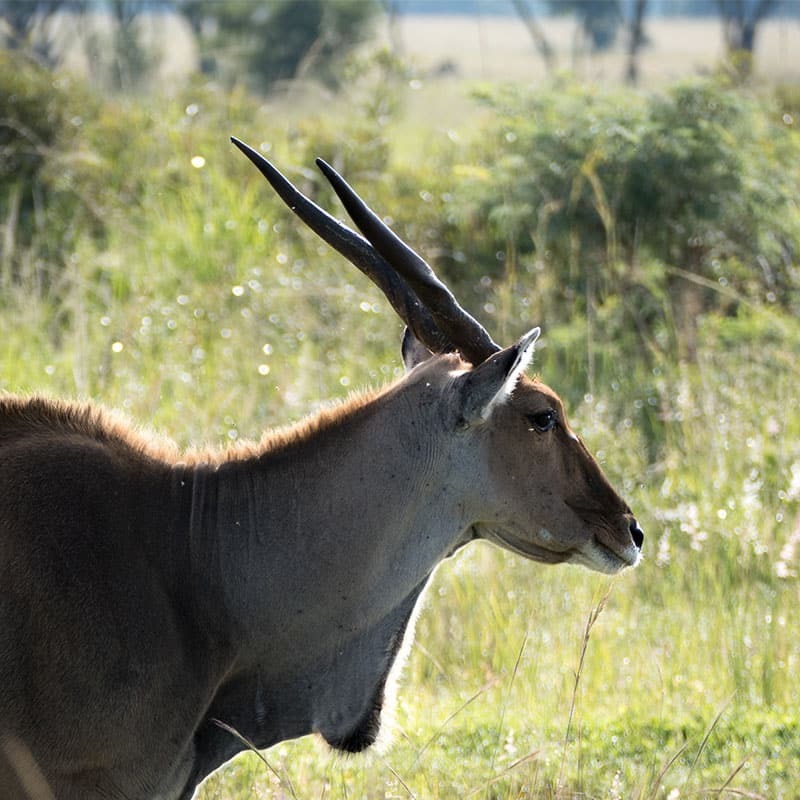 Mature adults are now released in a community supported, 2nd stage, free roaming sanctuary onsite. 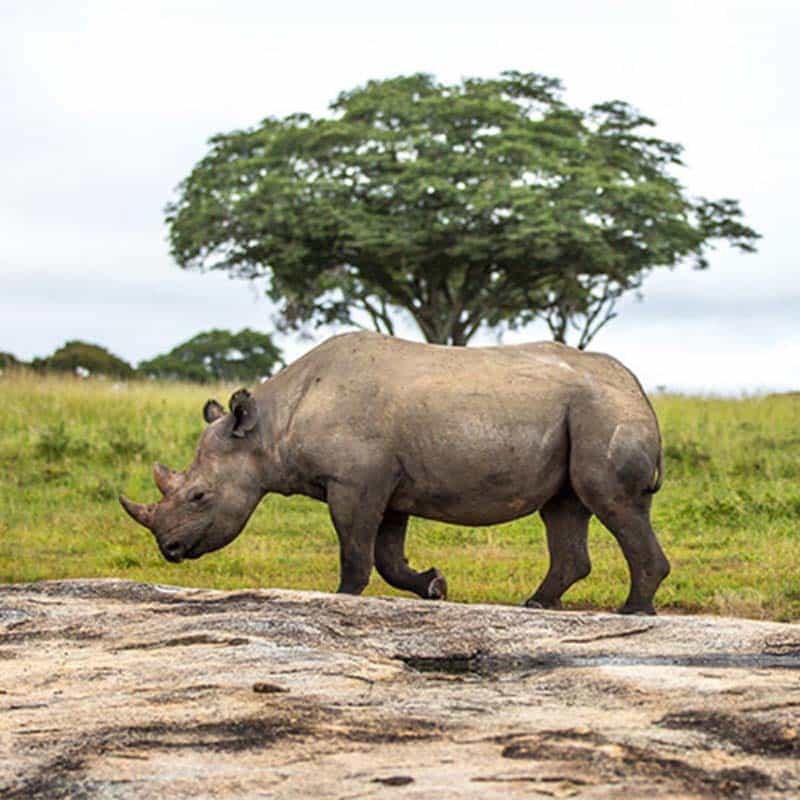 This allows our rhino an opportunity to become less habituated to human contact without daily interactions and supplement feeding. 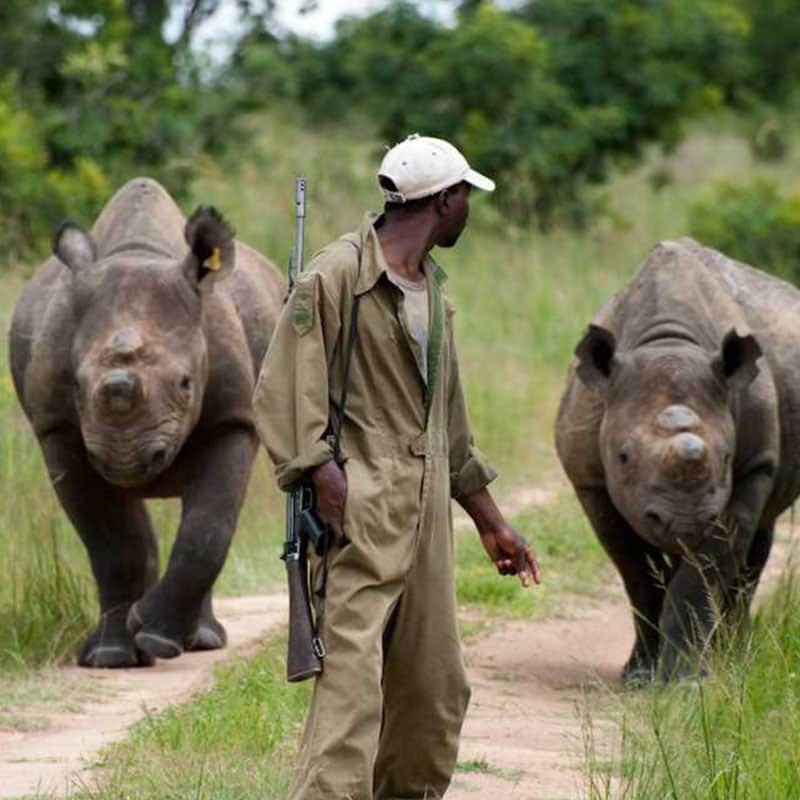 24 hour armed guards remain with the rhino, but at a distance. 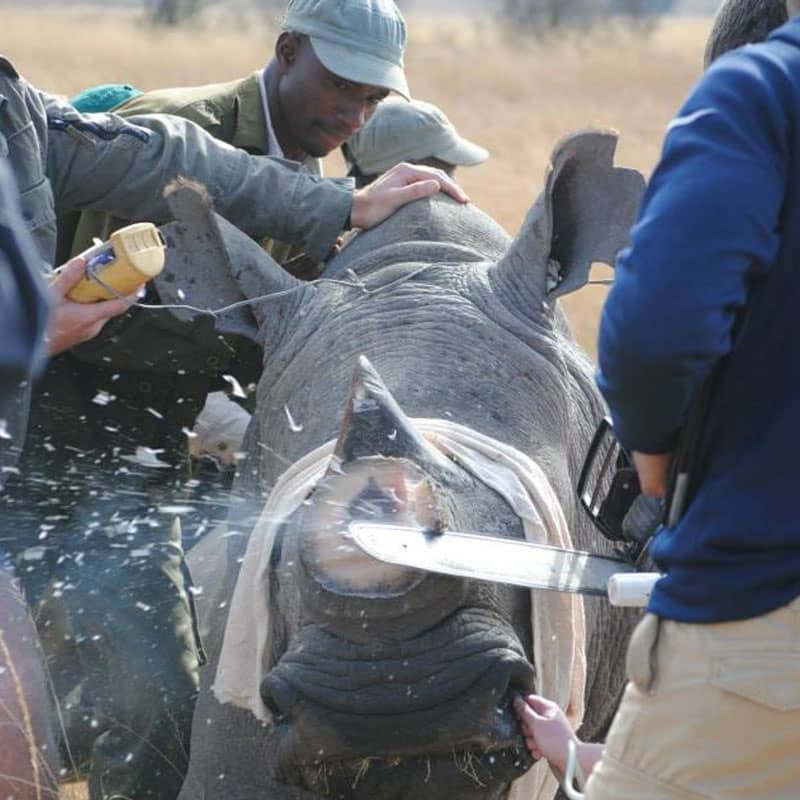 In this way, we can ensure our rhinos safety from birth until such a time when poaching in wilderness areas abates enough to allow us to release rhino back into their wild habitats confidently. 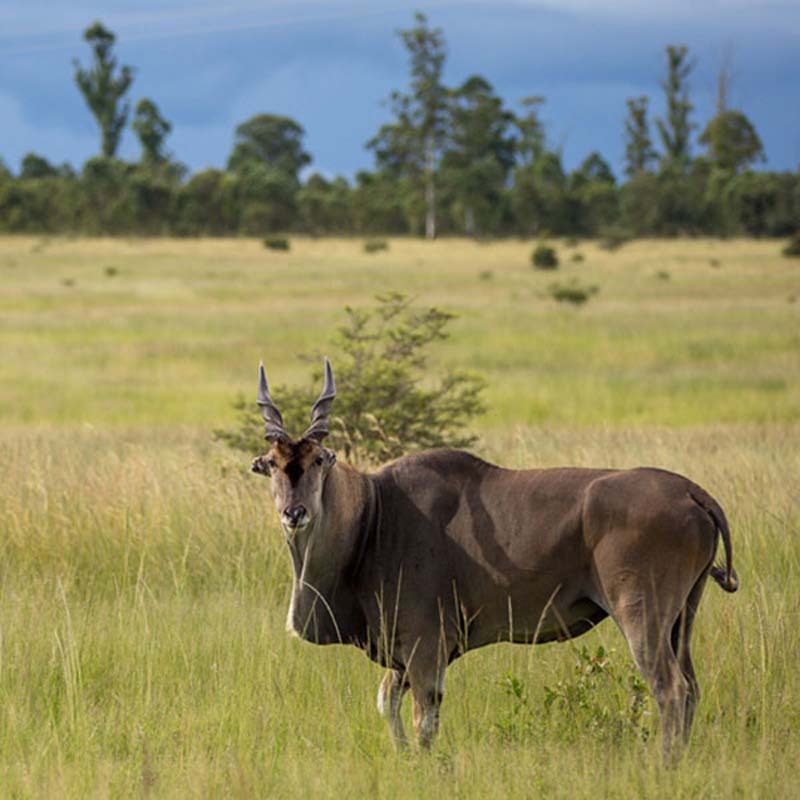 We are proud to have four of Africa’s Big 5 at Imire. 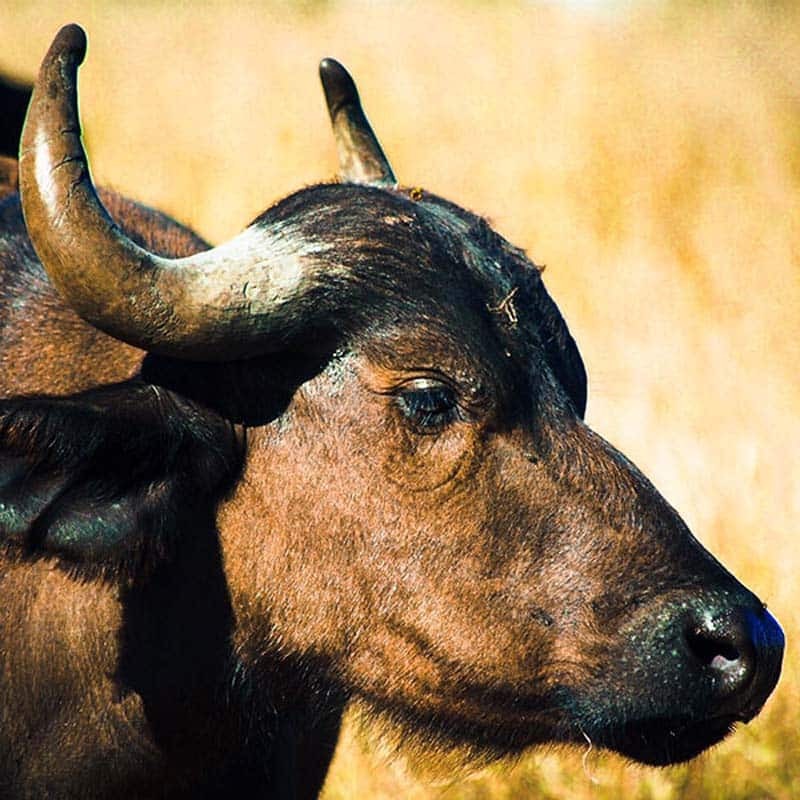 In addition to our black and white rhino and 4 resident elephants, the conservancy is also home to a herd of Cape Buffalo, with Nzou the elephant as their matriarch, Mambo a majestic retired male lion and his “eternal enemies”, 2 hyenas! 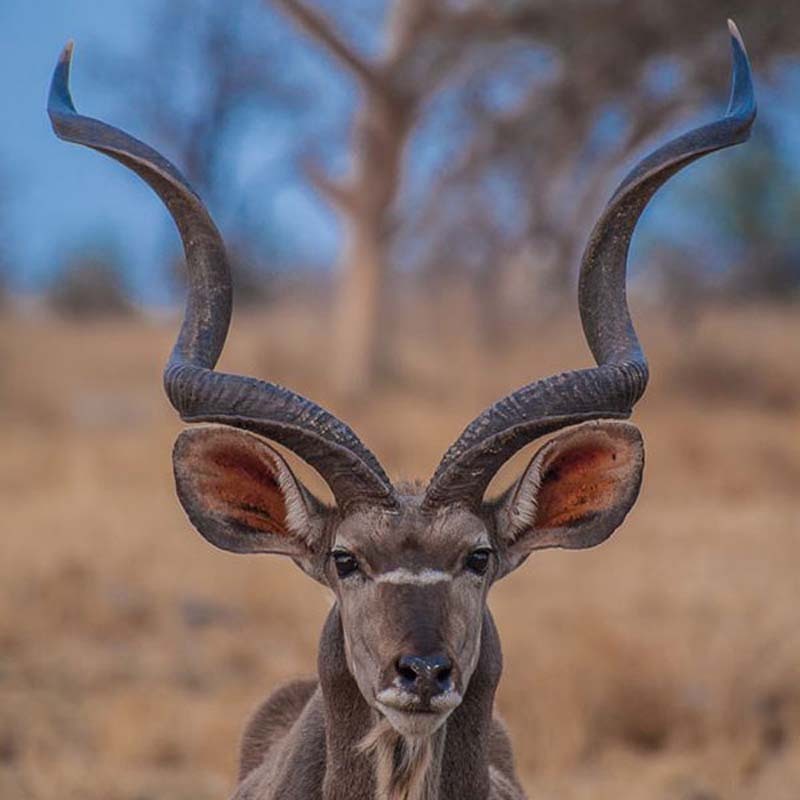 When visiting Imire you will also have the pleasure of viewing a wide variety of plains game in their natural environment including sable, eland, kudu, nyala, waterbuck, blesbok, zebra, giraffe, wildebeest, warthog and crocodile. 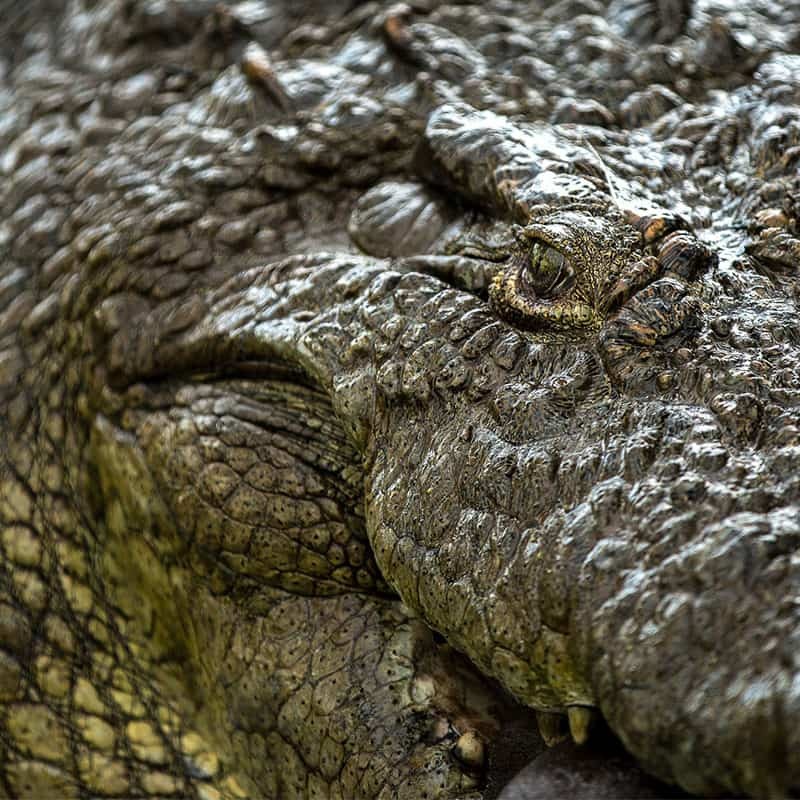 As well as the many species of wildlife, Imire boasts over 152 species of bird and numerous snakes and lizards! Truly a game viewer and photographer’s paradise! 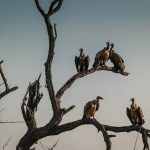 As human populations and their need for land grows, true wildernesses as we have known them historically are disappearing, enclosed by human activities. 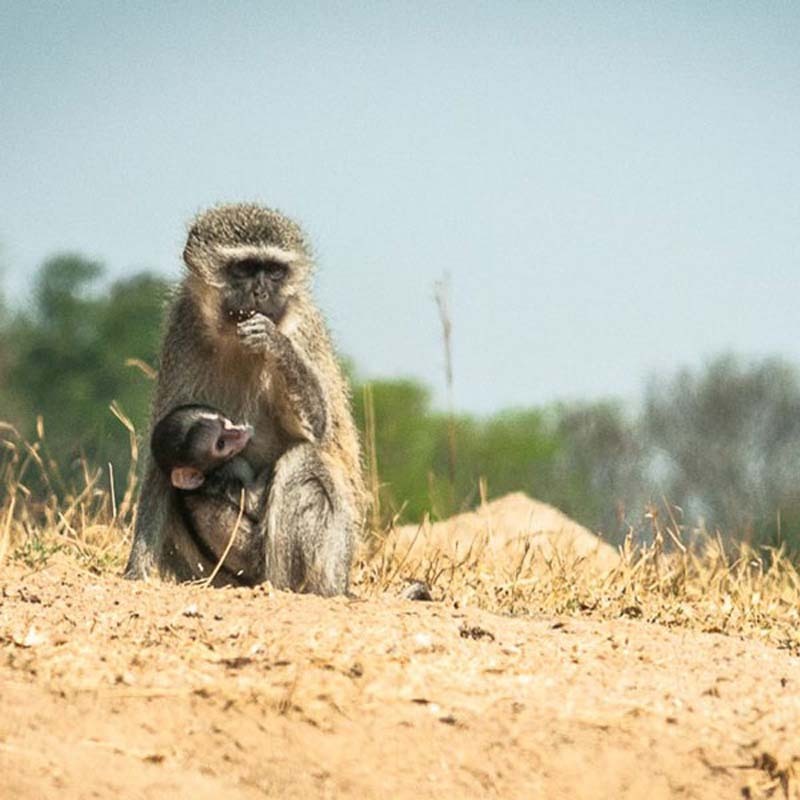 As a result, wildlife in private conservancies must be well managed and protected to ensure that species can survive. 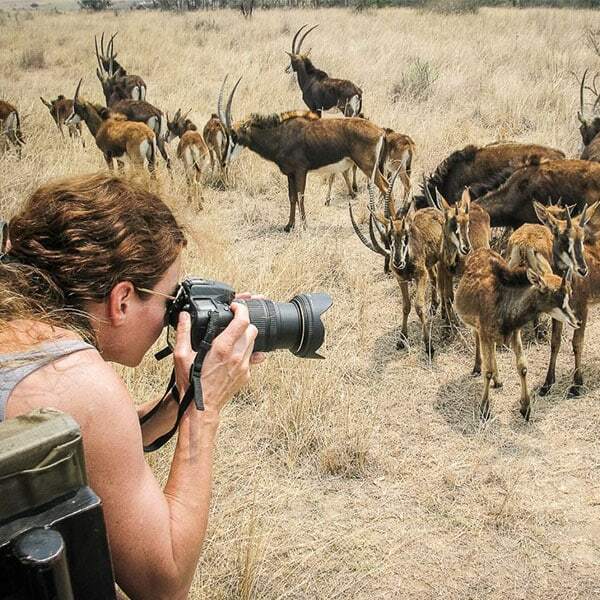 At Imire you are privileged to witness a workable solution where human communities, wildlife conservation and agriculture can be integrated, while enjoying a once in a lifetime safari experience! 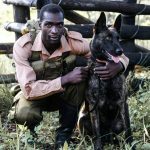 The men and women who make up Anti-Poaching Units in Africa are undoubtedly the unsung heroes of wildlife conservation. 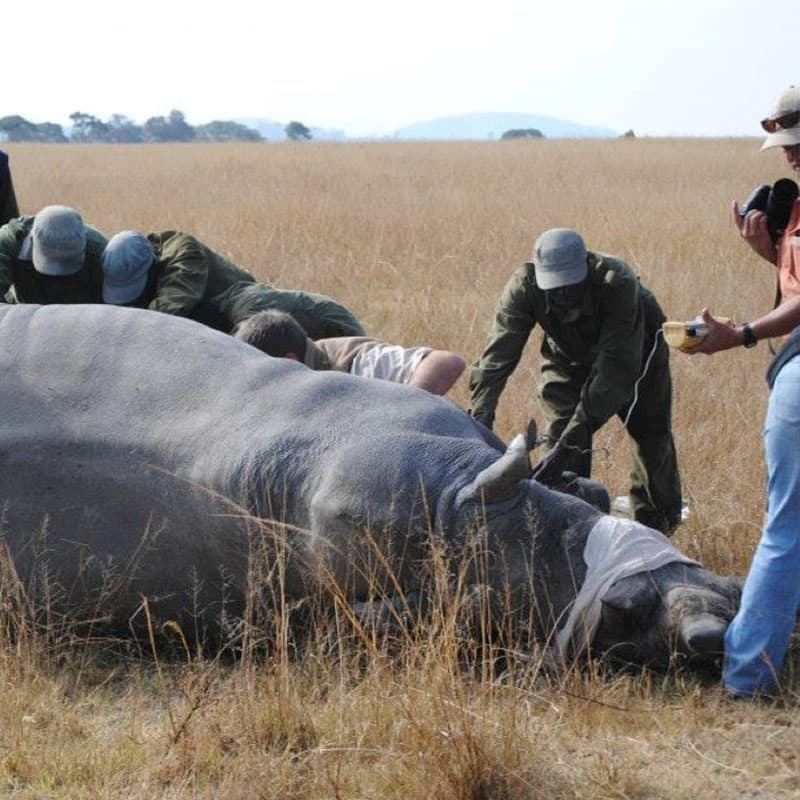 These brave souls risk their lives daily to ensure that our generation fulfil the huge responsibility of protecting the endangered under our care from poaching. 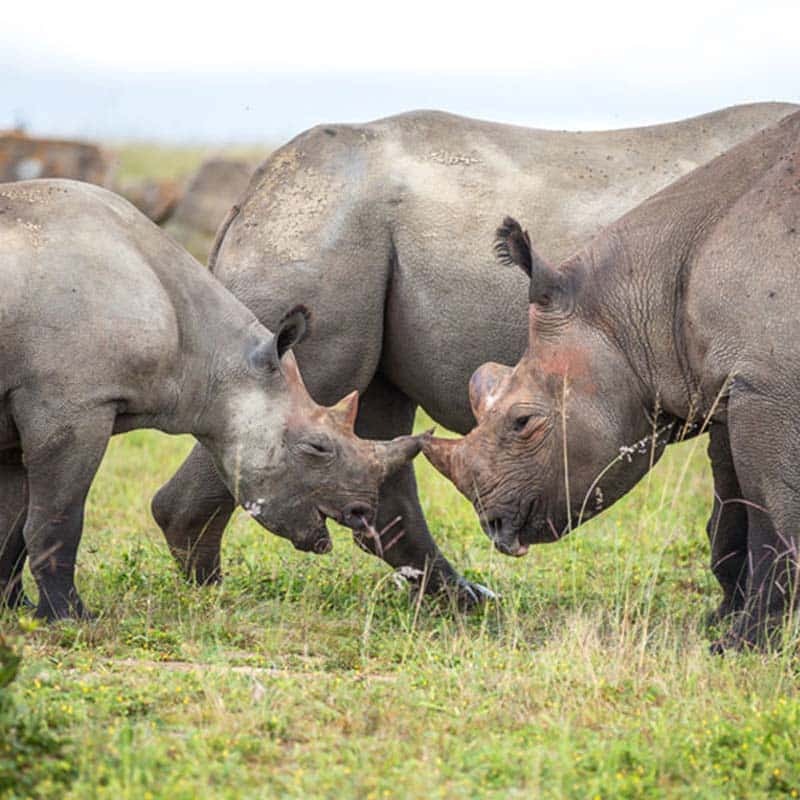 Well organized, coordinated and effective anti-poaching protection in the field is essential to successfully protecting rhino populations across the world, both in the wild and in conservancy style environments. 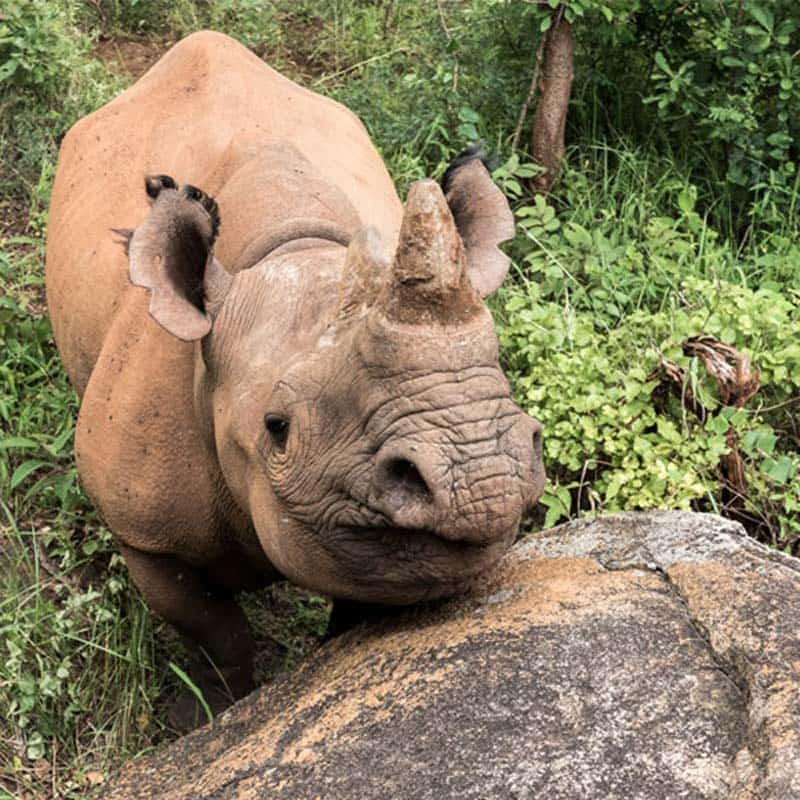 Anti-poaching at Imire aims to be both pro-active and reactive in patrols with the vision of reducing the level of poaching, not just of rhino for their horn, but also of smaller species too for meat and sale value. 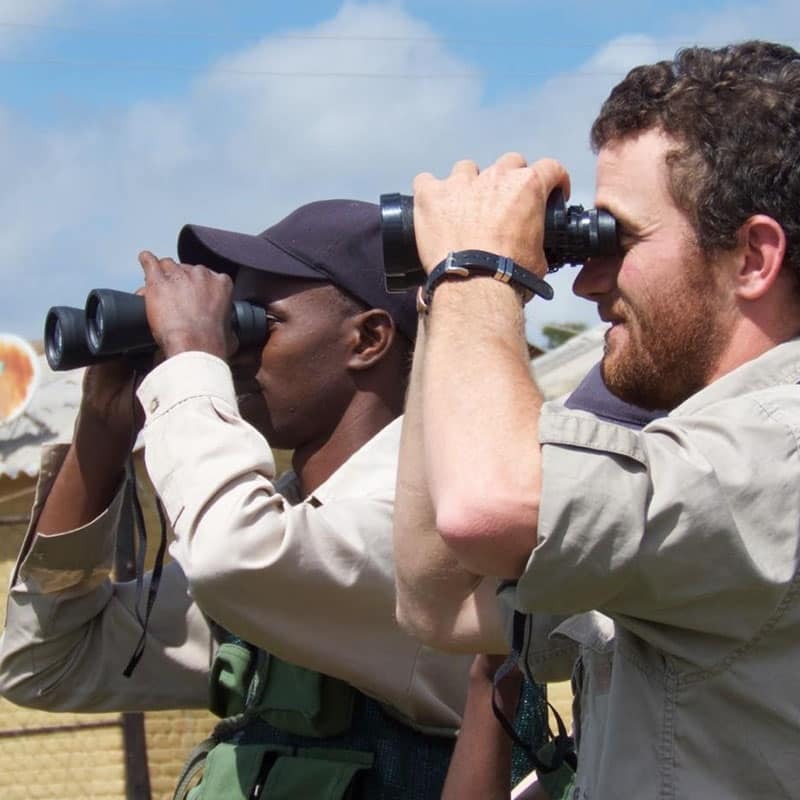 In addition to maintaining a formal, military style level of protection for our wildlife, Imire prioritize our relationship and effective communication with members of our informer networks. 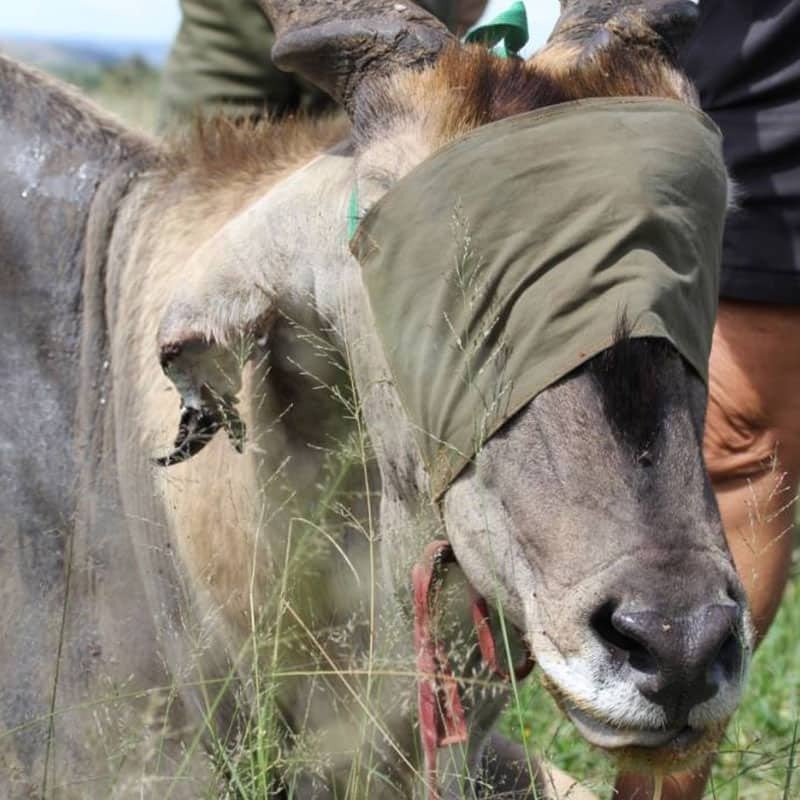 Enlisting our community members as key partners in anti-poaching proves particularly effective with long term rewards for all involved. 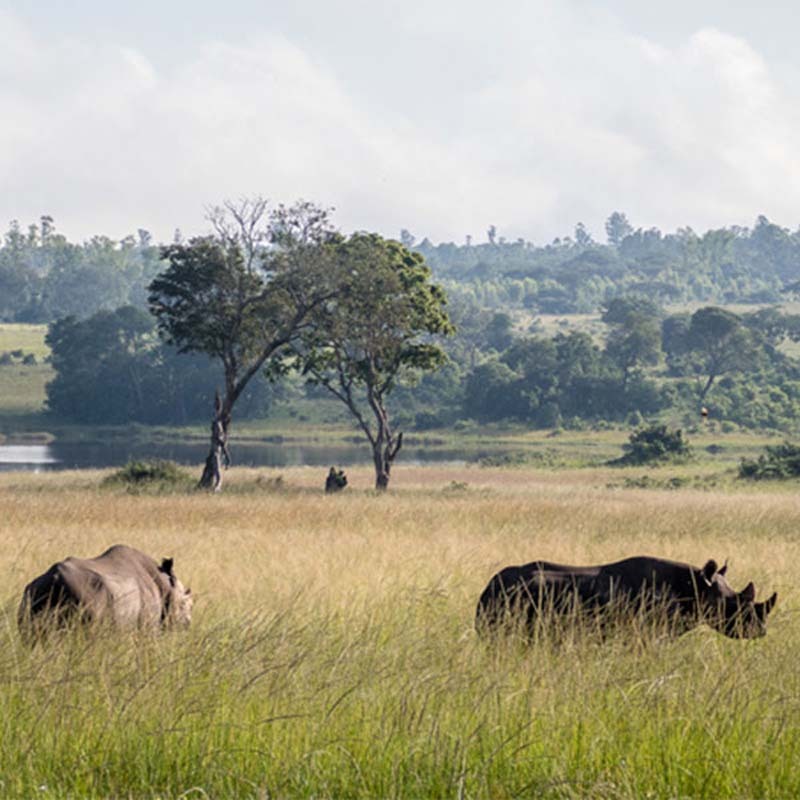 Our anti-poaching team formally employs many local members of our community, providing a noble livelihood to those otherwise marginalized local people. This helps provide benefits to local families living in the area and strengthens the support they lend to protecting wildlife at Imire. 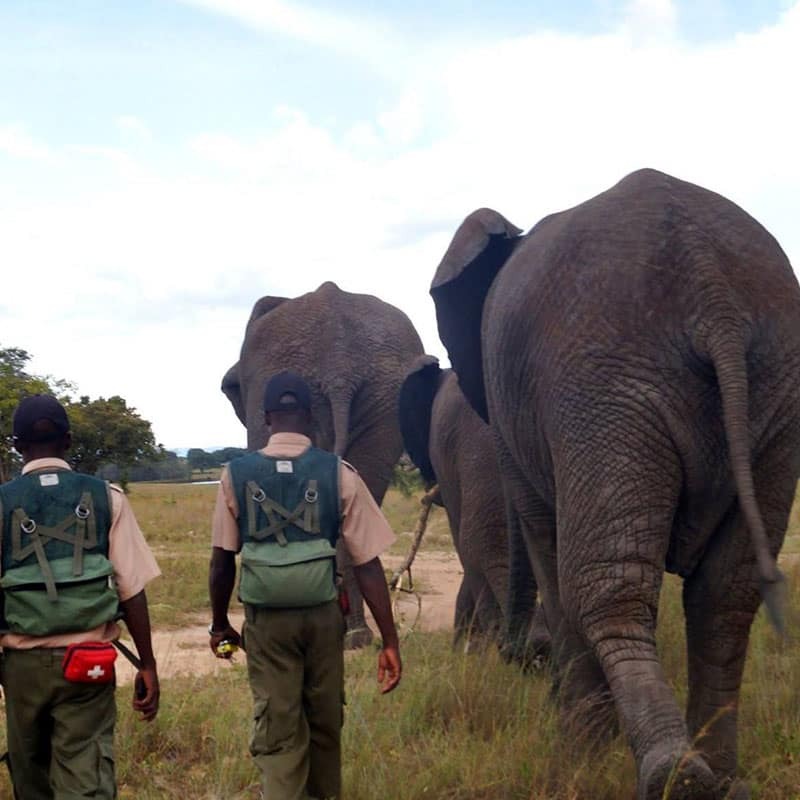 Our anti-poaching team at Imire consists of scouts with advanced skills, and extreme professionalism. 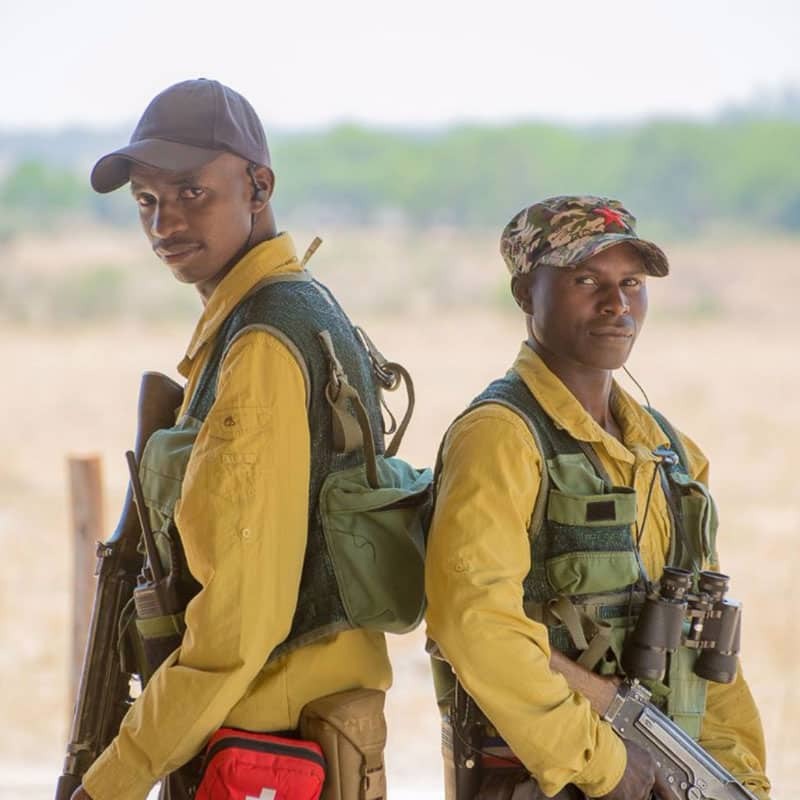 We aim to keep our scouts extremely motivated with constant training and education, and the correct weapons, equipment and uniforms.